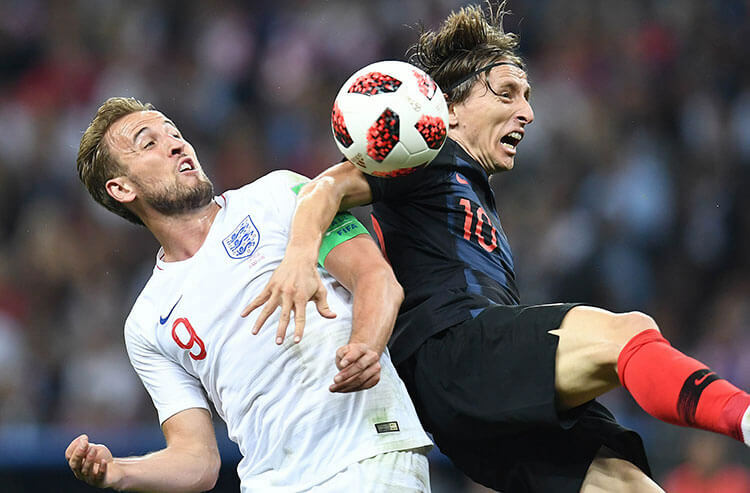 Croatia midfielder Luka Modric (10) plays for the ball against England forward Harry Kane (9) in the semifinals of the FIFA World Cup 2018 at Saint Petersburg Stadium. The inaugural UEFA Nations League will see one of its biggest matches to date Friday as Croatia hosts England in a rematch of their World Cup semifinal tilt. 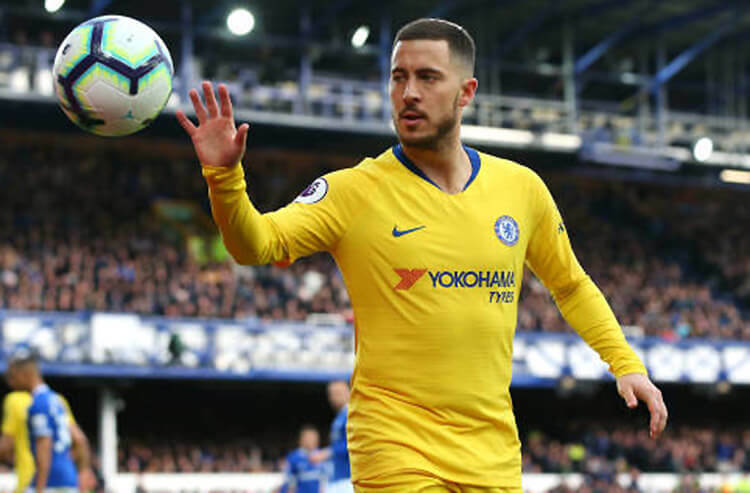 Whether you’re a seasoned soccer bettor or taking your first kick at the footy odds, our in-depth previews and betting predictions will help you turn a profit on the pitch. Croatia hosts England in a rematch of their World Cup semifinal tilt Friday – but neither roster will look much like the ones that battled back in the summer. The Croatians are minuscule +165 favorites for this match despite seeing Mario Mandzukic retire from international play following their loss to France in the World Cup finals. England (+190) might be the superior play here given that they'll have both Harry Kane and Raheem Sterling in the lineup, and that they have revenge on their minds following their World Cup semifinal loss. There are geographic rivalries – and then there's what will take place Saturday as Slovakia host the Czech Republic in a UEFA Nations League Group B encounter. Both teams will be desperate for a victory after losing their respective openers to Ukraine. Slovakia are favored at +115 in the first meeting between the teams since 2015. The Czechs come in at +275 and are eager to rebuild some momentum after getting spanked 5-1 by Russia last time out in an international friendly. They own the edge in the head-to-head history between the teams, with four wins, two losses and a draw. Sole possession of second place in Major League Soccer's Western Conference is up for grabs this week, and Los Angeles FC are in prime position to at least keep pace with Sporting Kansas City as they host the Houston Dynamo on Friday night. LAFC are overwhelming -275 favorites for this one, as they and Sporting KC enter the week with identical 15-8-8 records; Sporting KC is ahead by virtue of a three-goal edge in differential. But the hosts shouldn't dismiss the visiting Dynamo (+650), who have battled LAFC to a draw in each of their previous two matches; the tie here pays at +400. DC United have caught fire at the right time as they look to fight their way into the Eastern Conference playoff picture – but Saturday presents an entirely different challenge as they entertain Western Conference-leading FC Dallas. The hosts are a slight +105 favorite as they bring a six-game unbeaten streak into Saturday's encounter while having lost just two of their past 13 league matches. But FC Dallas (+230) have dominated the head-to-head series of late, coming in with three straight victories over DC United in which they outscored them by a 9-3 count. * Belgium have been on a tear since midway through the World Cup, having reeled off consecutive victories over England, Scotland and Iceland while outscoring them by a combined count of 9-0. The Belgians are +162 to go over 2.5 goals against visiting Switzerland on Friday, and are installed at +125 to record a fourth consecutive clean sheet. * If anyone is going to do damage for the English in their World Cup rematch with Croatia, it's Kane, who led all World Cup scorers with six goals. He leads all players at +137 to convert at any point during Friday's match, while the Croatians are led by the two Ivans – Perisic and Santini – who are listed at +220 each to score anytime. * Finland might have the psychological edge going into their UEFA Nations League Group C showdown with Estonia on Friday. The visiting Finnish side have won three of their previous four meetings with the Estonians, recording a shutout in each of those victories. Bettors are getting +110 odds on yet another Finland clean sheet this weekend. * Look for fireworks on Friday as Greece host Hungary in a UEFA Nations League Group C encounter. These teams have filled the net in recent years, with four of their previous five games going over the 2.5-goal total; they've also combined for 10 goals in their past two matches. This might be a sneaky value spot, with the over sitting at +150. * Latvia and Kazakhstan do battle Saturday in a showdown between the only two winless teams in Group 1 of the UEFA Nations League D. And goals could be hard to come by; the teams have combined for one goal in four tournament matches, and have just one goal between them in their last three meetings. Not surprisingly, the under here is a whopping -250. * Norway and Slovenia lock horns Saturday in UEFA Nations League action, and there might be plenty of celebrating in this one. The teams have gone above the 2.5-goal figure in each of their previous four head-to-head meetings, with the winning team averaging a whopping 2.8 goals in that span. The over pays out at +120 for Saturday's tilt. * Can either Nico Schulz or Julian Brandt find paydirt again? Fans and bettors are curious to find out as they lead Germany into a UEFA Nations League encounter with Holland on Saturday. Both players had goals in Germany's 2-1 international friendly win over Peru on Sept. 9; Brandt is +300 to score Saturday, while Schulz is a +750 longshot to strike again. * Ireland are not in the best of form as they prepare to host Denmark in a UEFA Nations League B match Saturday. The Irish have just one win in their last seven international matches and were throttled 5-1 by the Danes in their last encounter. That makes the Denmark/Over play an intriguing one at +400; the Denmark/Under option is also solid at +350. * Francisco Rodriguez has formally been tasked with trying to turn around La Liga bottom feeder Huesca. 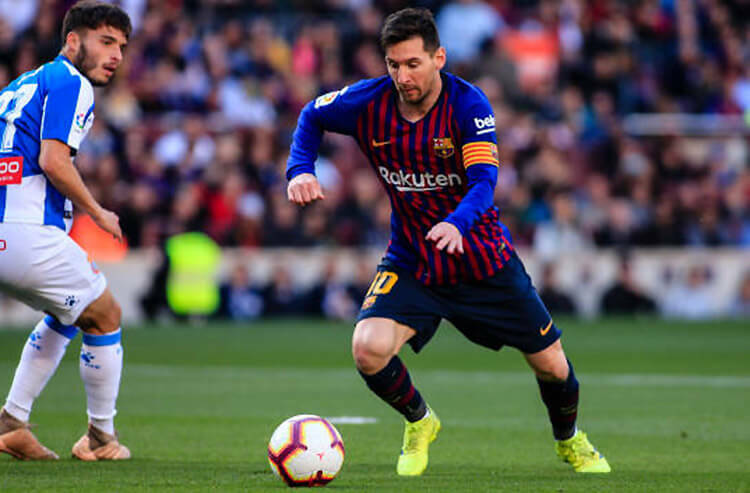 The 40-year-old was named head coach of the struggling club earlier this week, taking over for the departing Leo Franco. Huesca have just five points in eight matches heading into the international break and are -300 to be relegated at season's end. * Tottenham has been dealt a significant blow as they enter the English Premier League's international break. Defender Jan Vertonghen will be out of action until at least December after suffering a hamstring injury. Tottenham sit fifth in the table with 18 points from eight matches, and remain a solid -150 play to finish inside the top-four.